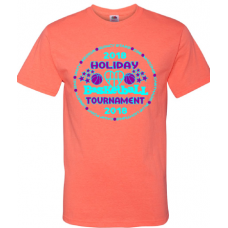 Your official T-Shirt for the 2018 Holiday Tournament comes in retro heathered coral, with a light teal and purple design on the front. 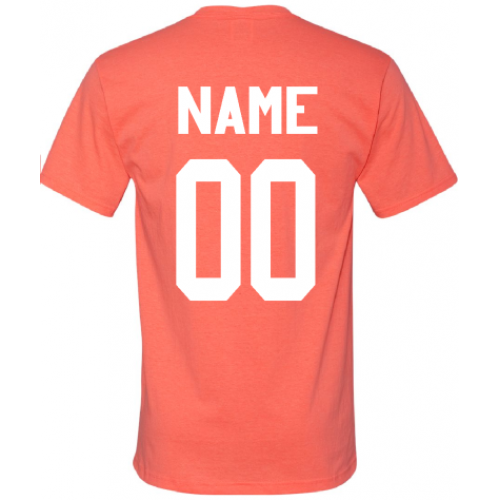 Name and number are available on the back of this soft-style T-Shirt for a small extra charge. Show your team spirit! Available in youth and adult sizes. 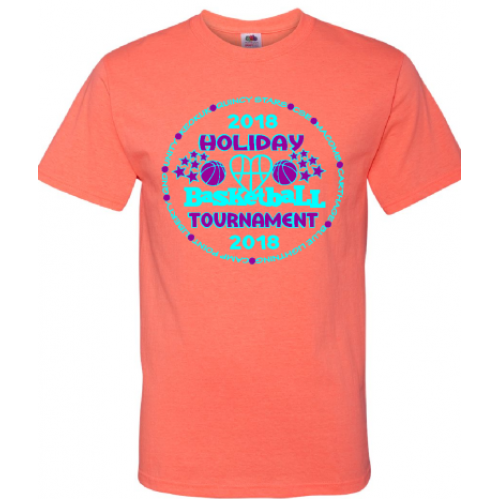 To have the T-Shirt printed and waiting for you at the tournament, order by January 4 and choose "Pick up at event" as your shipping option!